A client was introducing a new product line to the market and needed to heat magnetic steel parts, which would become cutting tools, for forging. The parts were knife blades and shears, and they needed a fast, repeatable heating process they could count on in production. Their objective was for each part to be heated in under seven seconds to 2150 ºF (1177 ºC). A client came to THE LAB looking to improve upon their heating process. 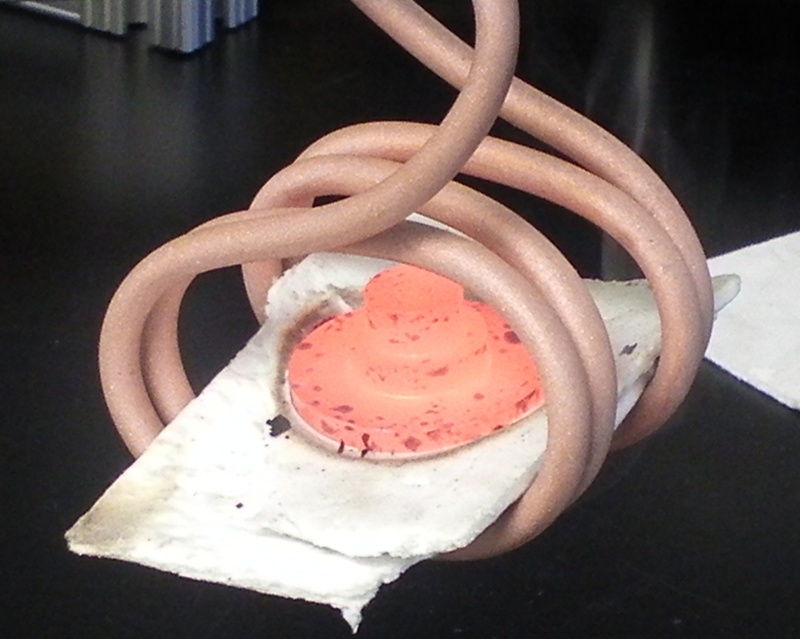 They had been using a torch, but wanted a faster, safer, more repeatable method of heating. 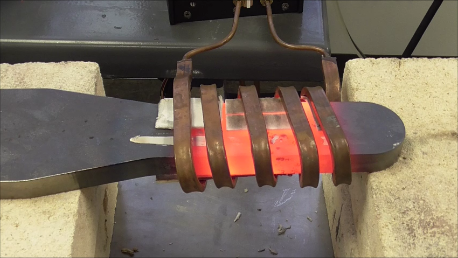 The objective of the application was to heat a magnetic steel part to 1700 ºF (927 ºC) for a forming application.